The Sapir Organization has filed a lawsuit against SL Green Realty and Gramercy Capital to keep the companies from foreclosing on 100 Church Street, on which they hold some of the debt. 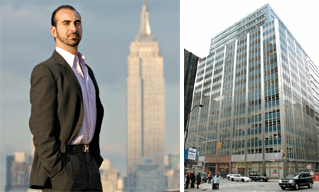 The Sapir Organization alleges that the lenders prevented it from signing leases for space in the building that would have allowed Sapir to get loan extensions for the property. Sapir needed to lease a certain amount of space — the specific square footage is not immediately clear — in the building to qualify for extensions, but the property is 60 percent vacant, according to CoStar Group. The Sapir Organization had reached a deal to rent more than 255,000 square feet to the Claremont School, but the deal allowed Claremont to back out of the arrangement if the lenders didn’t approve the lease by April 17. The lawsuit alleges the lenders delayed the deal by requesting information that had already been provided. Claremont withdrew from the deal.